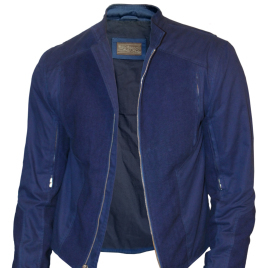 This casual canvas cotton jacket features contrast stitching, shoulder gussets and snaps on the wrists and hips. 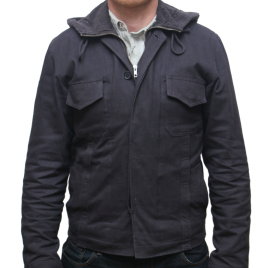 There are also two side pockets, one zipped breast pocket and several internal pockets. 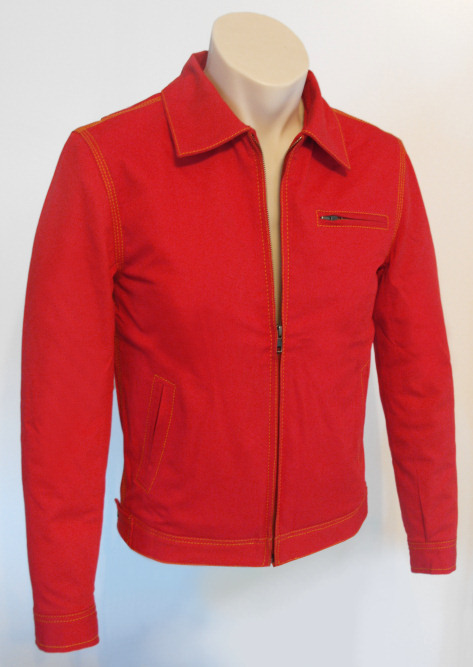 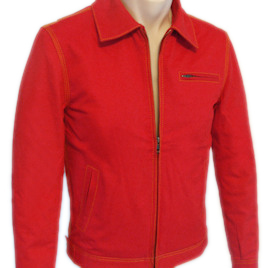 I received my Smallville Jacket, red with yellow stitching, smashing ! 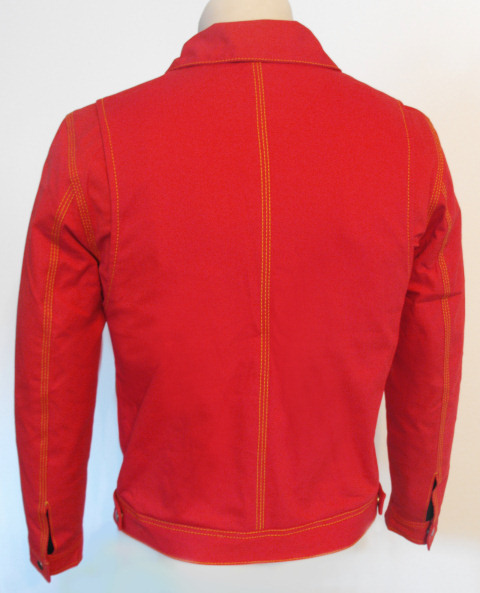 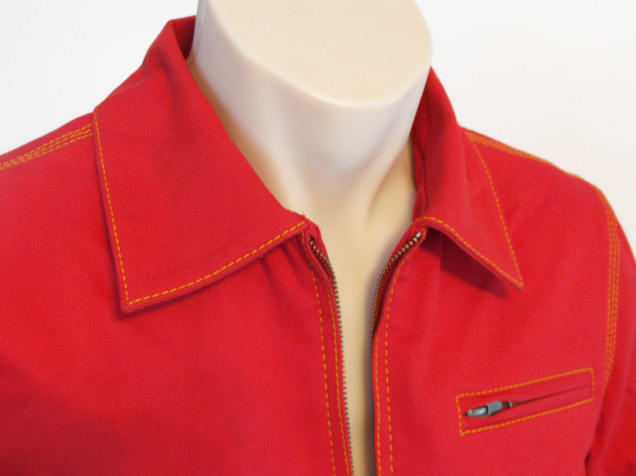 It is like the jacket of the serie, the red colour is awesome and the stitching are really well done. 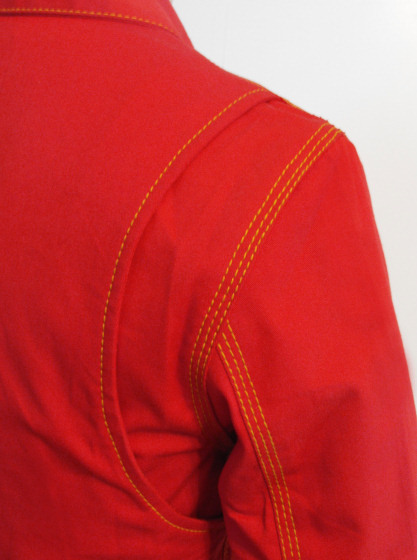 Very great job, keep on like that !